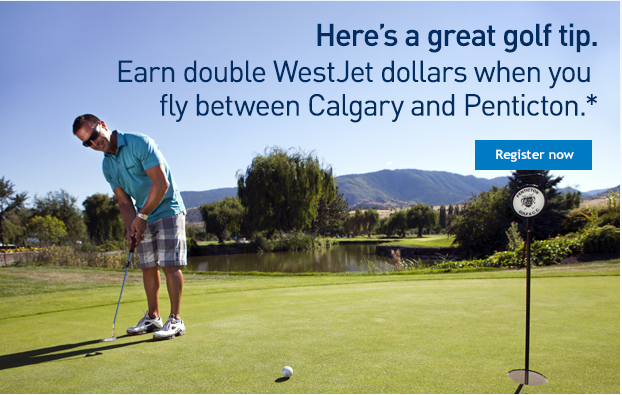 Here is a new flight offer from WestJet for their Rewards members looking to fly between Calgary & Penticton. The offer is for Double WestJet dollars on non-stop flights between the two cities. Connecting flights will earn double on the YYC-YYF legs only.